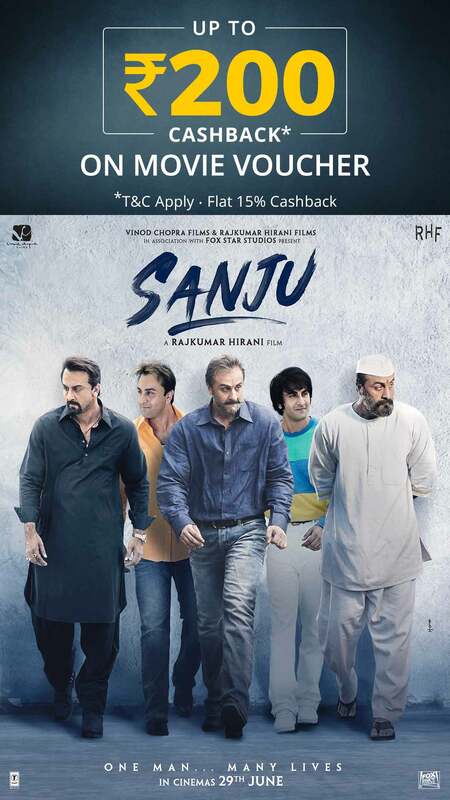 * The promocode received post purchase of this deal is only applicable for booking Sanju movie tickets on Paytm.com and Paytm App. * The promocode will be applicable on booking Sanju Movie Tickets only (once booking starts). * Deal is valid only till June 30th.